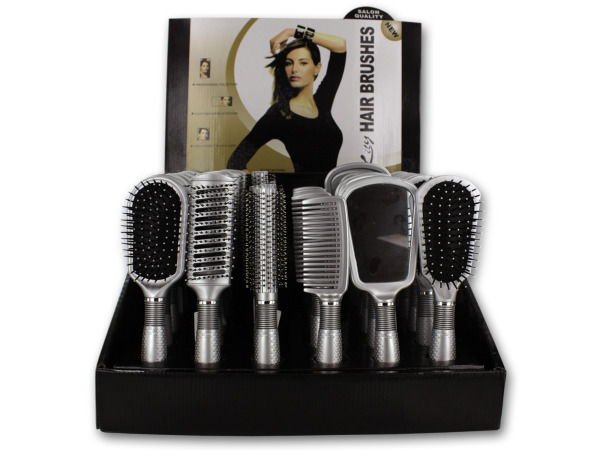 These brushes and hand mirrors are modern and stylish looking. 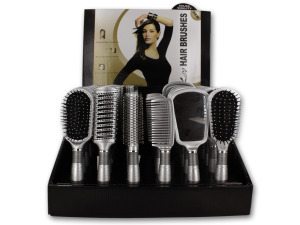 Choices include hand mirror, flat brush, comb, blow dry brush and round brush. Each is about 9 1/2" long. — — — — 36 pcs.